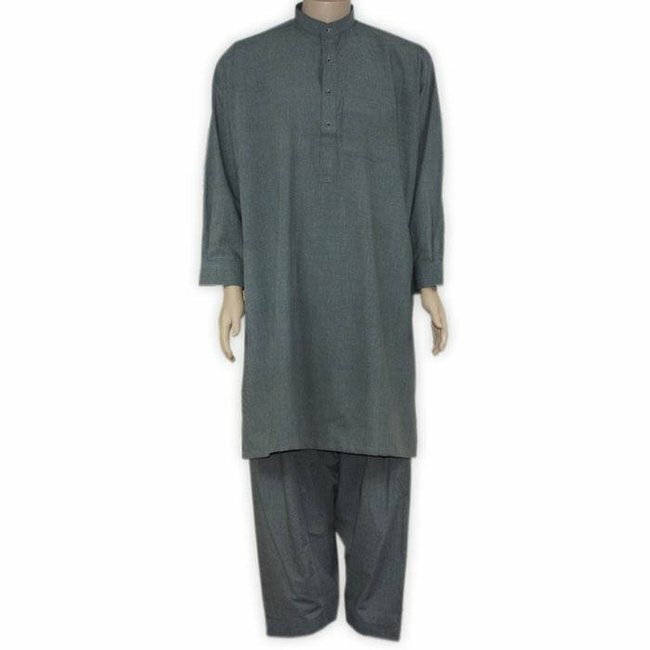 A high quality salwar kameez in pure cotton in grey. 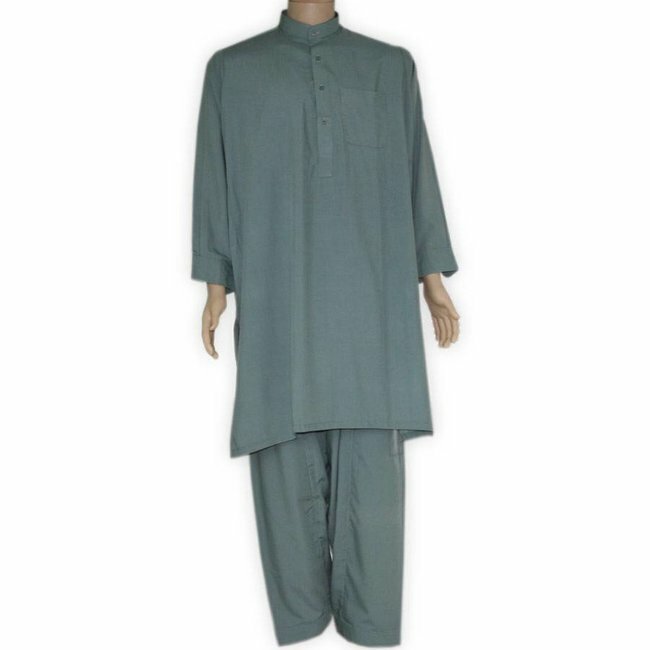 100% cotton Read more..
An elegant, high-quality salwar kameez in pure cotton in grey. 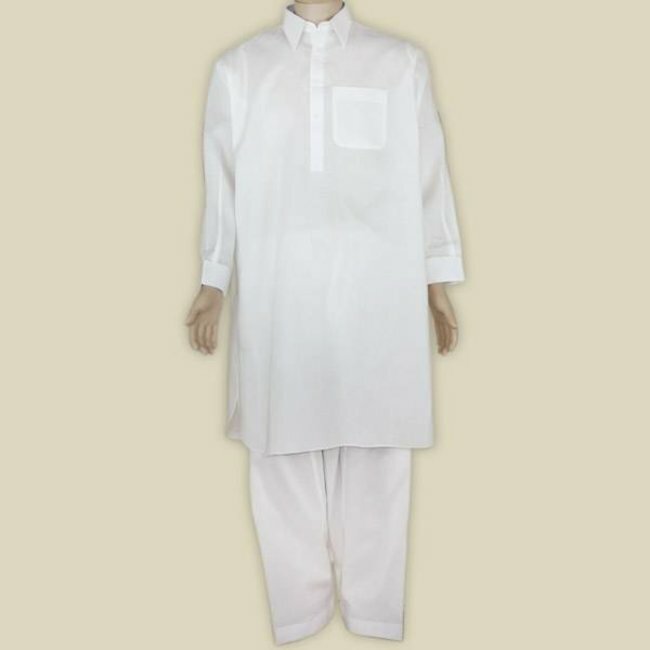 As material here Khaddr was used, a pure, comfortable cotton fabric, which is similar to linen fabric. 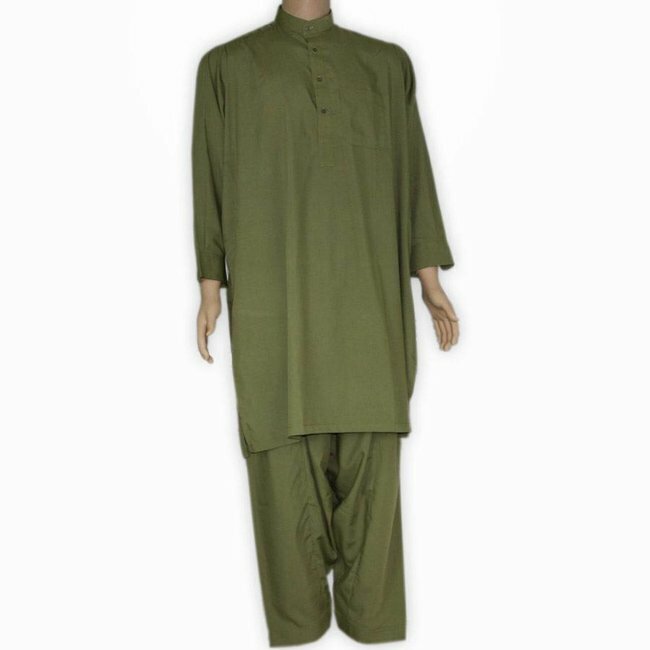 The two-piece suit consists of a wide upper part (Kurta / Kameez) with stand-up collar and a wide pants (shalwar). 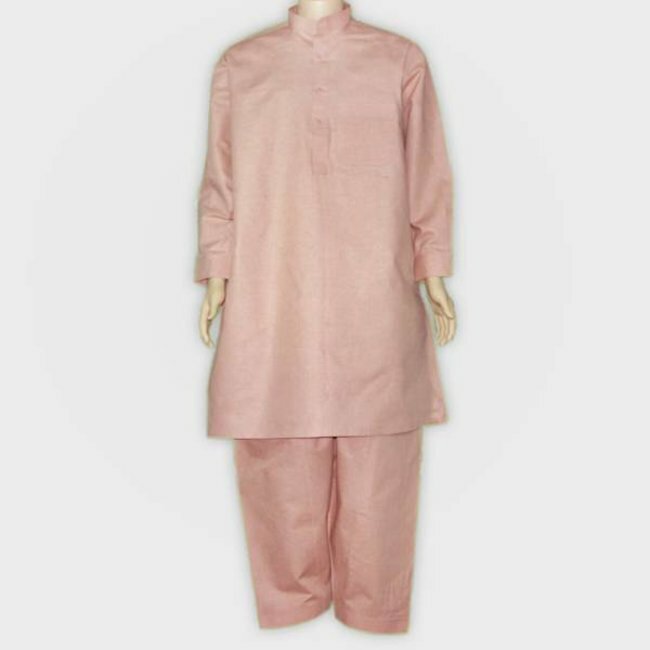 The pant has an elastic band with belt loops. To the right and left are two spacious side pockets with zipper. 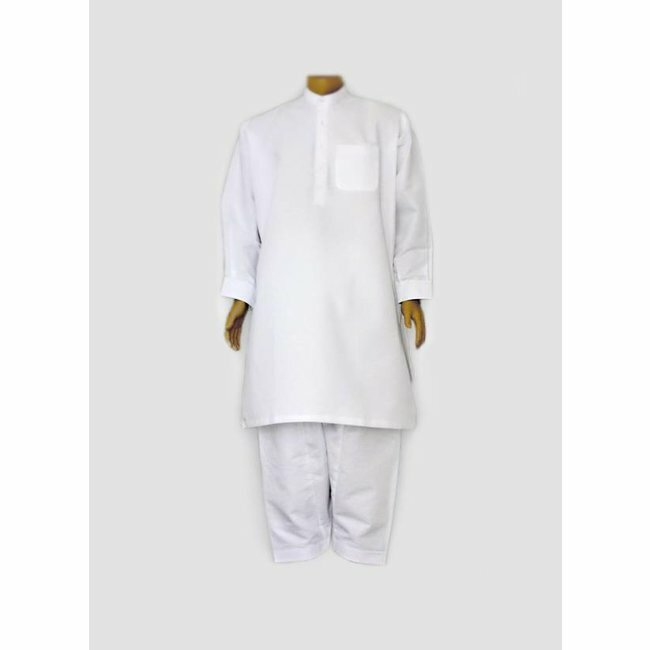 The bodice has two side pockets and one chest pocket.